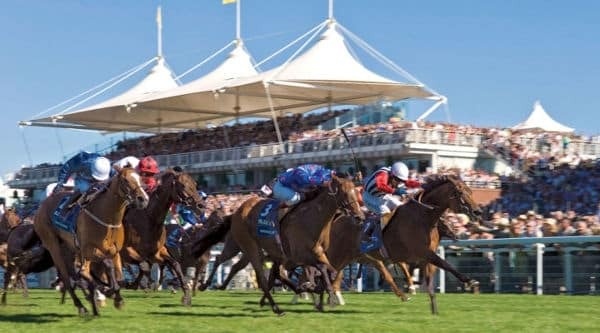 It’s the third year of the Qatar sponsorship of Goodwood, which helps drive the prominence of the race meet continue to rise with the very large prize money available. There are a couple of changes to the Festival this year. The Goodwood Cup with prize money of £500,000 has been moved from the Thursday to 3.35pm on the opening day. The race has been upgraded to grade one status too, and the move has been done with view of increasing interest and attendance at the beginning of the Festival. Secondly The Nassau Stakes, worth £600,000 has moved from its previous schedule on Saturday to 3.35pm on the Thursday. A lot of the attention running up to the Festival will be on Big Orange as he looks to make history, winning the Goodwood Cup three times consecutively. He is priced to do exactly that, with bookmakers currently across the board all pricing him at around 1.80. There are around 15 other runners all priced longer than around 10.00 so it will be much the surprise and talking point if the Big Orange doesn’t come in. His form is good too, winning the Gold Cup pipping Order Of St George at the very end. However if you don’t want to back him, and fancy placing a longer priced horse, then Bet 365 will be the best place to do this as they’re the only bookmaker currently paying three places at 1/4 odds terms. In previous years we have seen more offers available than there currently is this year. Quite a few of the bookmakers have focused on Galway, so we’re expecting more offers to go live on Monday night ahead of the Festival. 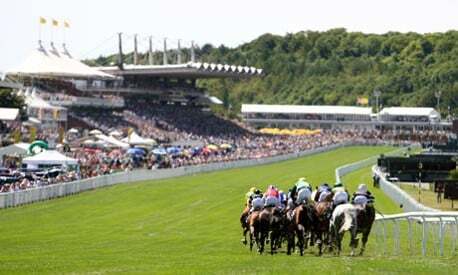 We’ll be on the lookout to see whether the betting sites use their daily specials for Goodwood. For instance, we would expect for the William Hill 2 clear offer to feature Goodwood. Check out our horse racing page for all the daily specials (it is updated every morning), but the below are the confirmed deals. We’ll continue to update this page as more offers are confirmed. If your horse finishes second, third or fourth to the SP favourite in the 15:35 Goodwood then Paddy Power will refund your losing stake as a free bet up to the value of £25. if your backed horse wins by 2 lengths or more, William Hill will give you a 15% free bet bonus on top of your winnings. The maximum bonus that will be paid on a winning horse is £100. There must be at least six runners for this offer to be available. If your horse finishes second to the SP favourite, Boylesports will refund your losing stake as a free bet up to the value of £20. There needs to be a minimum of five runners or more. If your horses loses to the SP fav, 10Bet will refund your losing stake as a free bet up to £10. Get your money back as a free bet up to £25 if your horse is second beaten by a length or less. This is available for all races at Goodwood. Back a horse to win, and if it comes second by a head or less, then 888sport will refund your losing stake as a free bet. You must bet at least £5 on a winner, or EW bet in order to be eligible and there is a maximum refund of £25 available. This offer is available for all races at Goodwood.